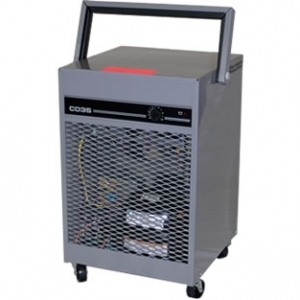 The Ebac CD35 P is a no-nonsense, go-anywhere, portable dehumidifier. Rugged enough for industry shops and storerooms, efficient enough to dry sensitive computer centers or archival storage, attractive enough to serve in a home den, basement or garage, yet reliable enough to withstand the abuse of the rental environment or a steamy locker room. It's self-contained and automatic.